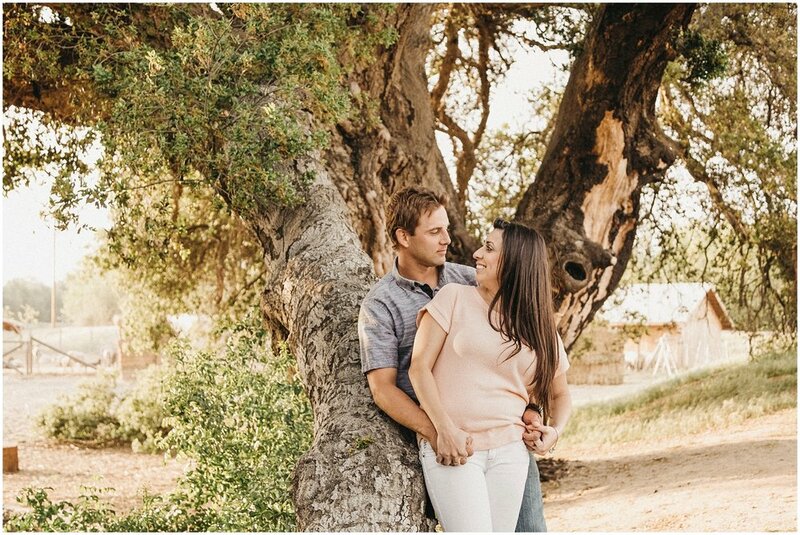 When we met with Marissa and Beau we met them in their home, they were so warm and inviting and made us feel so comfortable, the same was true during their engagement session. They are such an amazing couple, their love literally shines for the whole world to see. 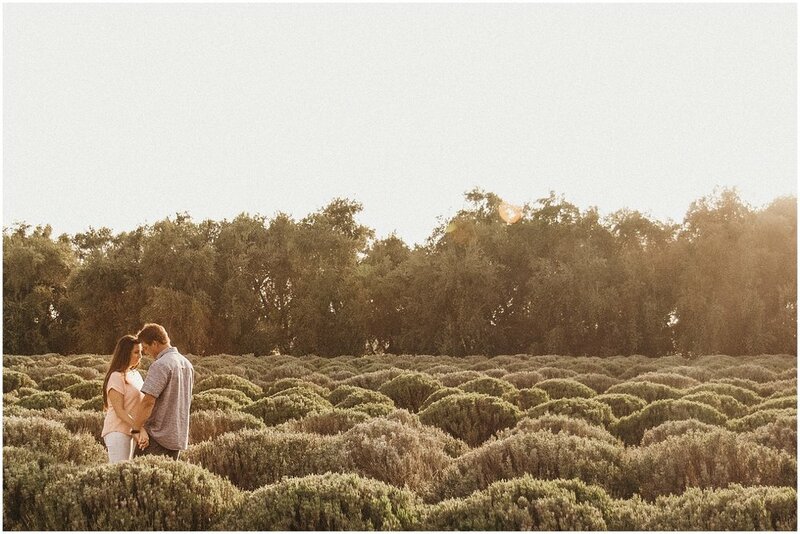 We started their engagement session at Los Rios Ranch in Oak Glen. Unfortunately the areas I wanted to use had changed drastically and were not as green and pretty as I had hoped. Beau suggested the Highland Springs Resort. I have lived here my whole life and I have never been up in that area so I was game. The area is just beautiful and was the perfect setting for Marissa and Beau. Beau is a fireman and has been at the resort for hikes and training so he was the perfect guide. We walked and drove all around the property laughing and chatting…oh and taking pictures too! Beau gave us all a great history lesson of the location and I think he might be in the wrong profession. We finished our session by the huge oak tree that is over 1,100 years old. After putting all of our gear away Marissa and Beau treated Pawel and I to drinks in The Grand Oak Steakhouse Bar. Marissa had a Lavender Margarita and Beau and I had an amazing Lavender Mojito. We finished the night chatting and laughing and Marissa and I even snuck away to check out the gift shop. I can’t wait for their wedding next month I know it’s going to be one fun and crazy party!